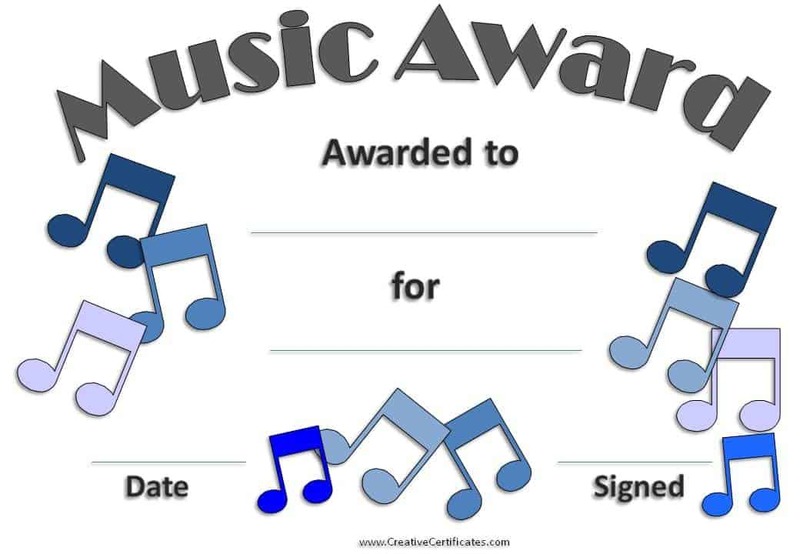 A selection of free printable music certificate template awards. 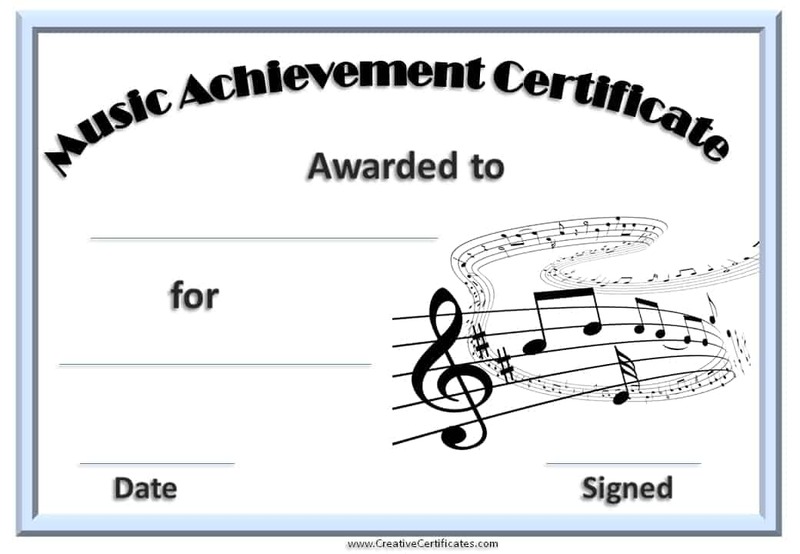 The details of each certificate can be typed before you print it but the titles cannot be changed. 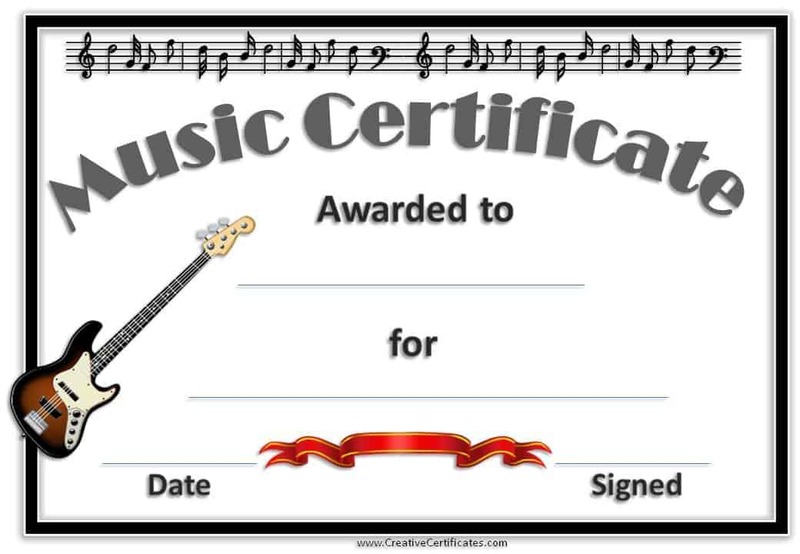 If you require a different title then you might want to try our free certificate templates that can be totally customized to your needs. 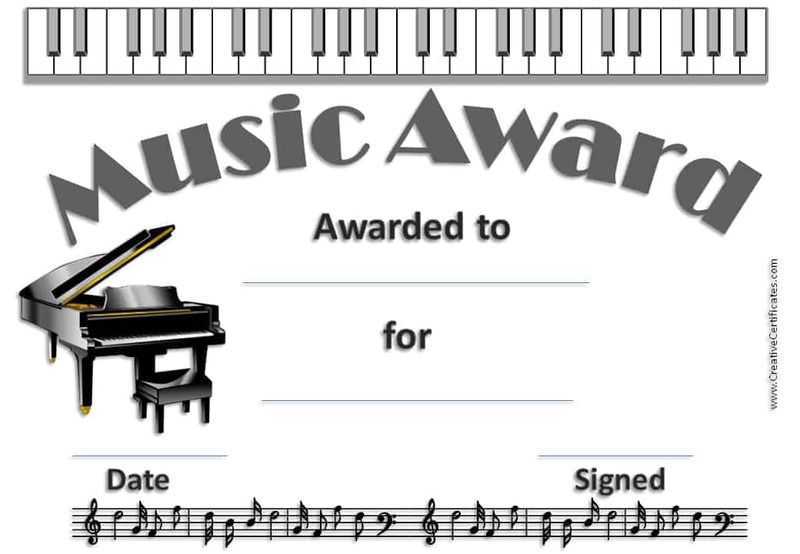 A piano award certificate that can be awarded after a piano recital or for effort. 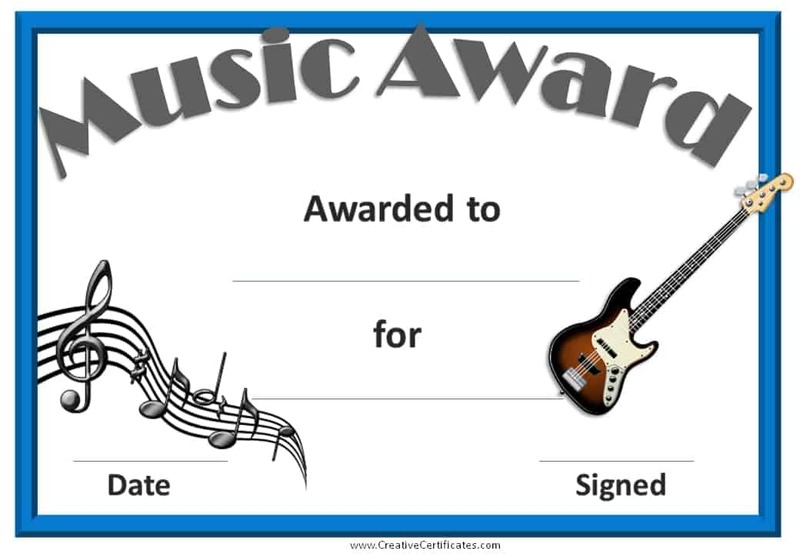 When learning a musical instrument practice makes perfect but how do you encourage your child to practice? 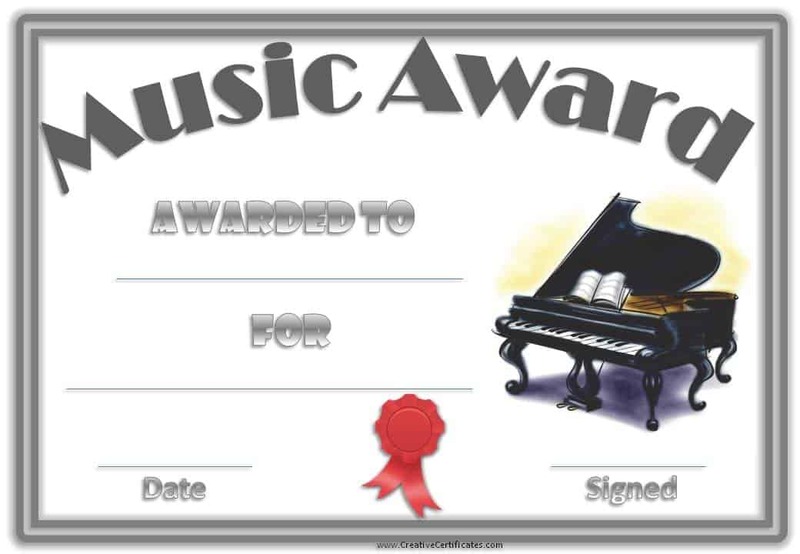 One of the most effective methods to do this is through positive encouragement and incentives. 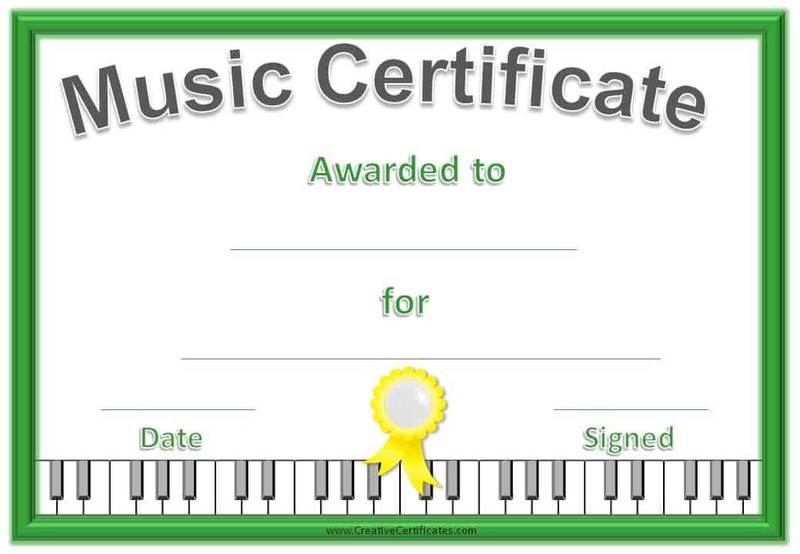 You don’t need to buy your child an expensive gift for practicing a musical instrument and in fact, it doesn’t have to cost anything at all. 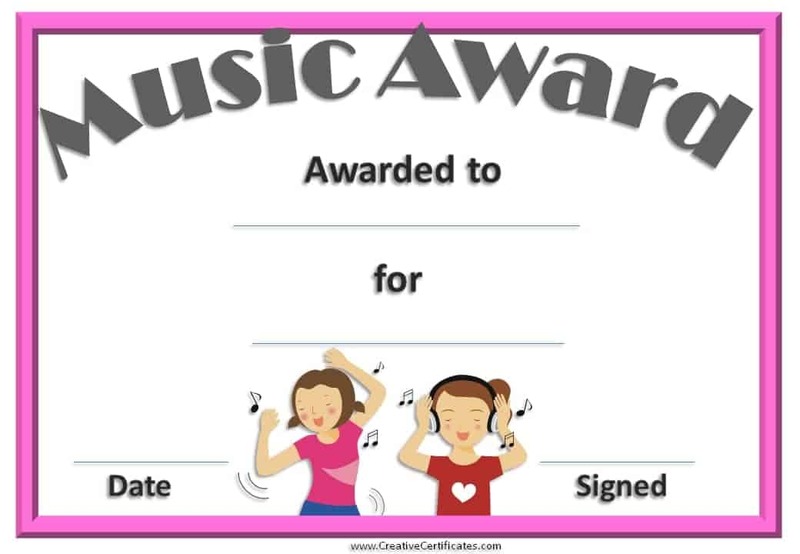 A printable award certificate is both tangible and expresses your recognition of your child’s effort. New! 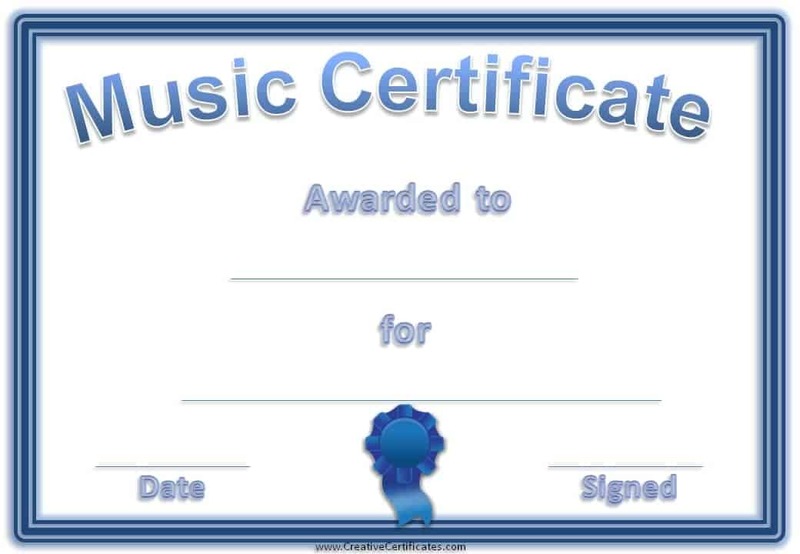 Many of the certificate templates on this site can now be downloaded without a watermark by premium members. 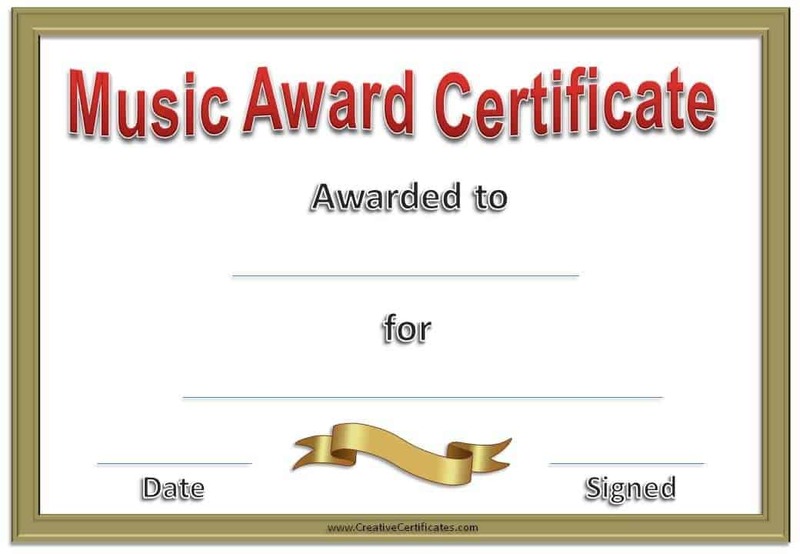 Premium membership costs only $4 per month and enables you to download any certificate that has a premium version.